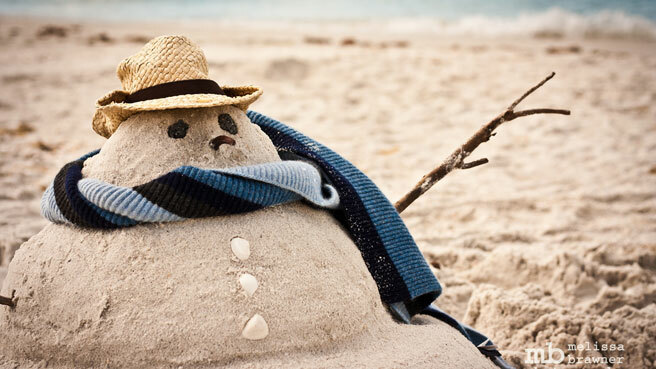 Planning to spend the day at the beach soon? 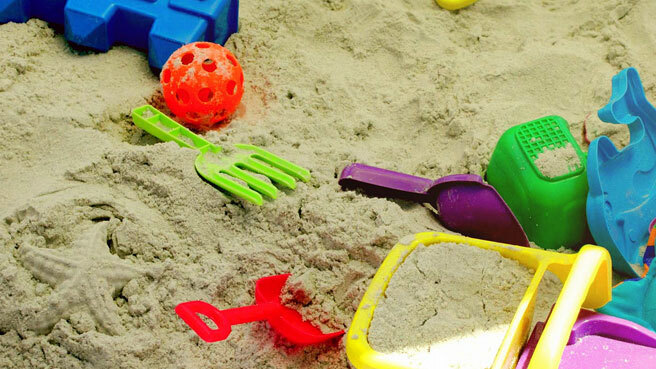 Be prepared with the best baby sunscreen for your little one’s skin. When we moved to coastal Carlsbad, CA, Little J was 11 months old—past the point where she would chill in her shady car seat and old enough to wear sunscreen. 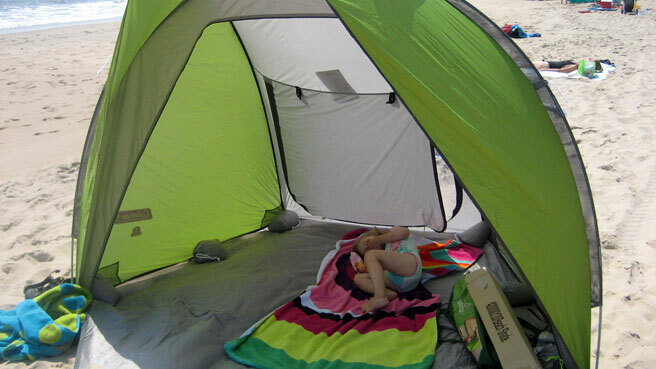 After our first two summers at Carlsbad State Beach, we discovered some of the best baby sunscreens. For those times when you can’t keep your baby under a beach tent, here are the best baby sunscreens to suit your needs and budget. In my experience, the best sunscreen for baby is a sunscreen stick with zinc oxide. You can carry a stick in your purse at all times and it’s quick and easy to apply. Stick sunscreens for baby, as solids rather than liquids or sprays, can be carried on an airplane and don’t explode under pressure or in a hot car. My favorites are Neutrogena Baby Sunblock Stick and Aveeno Baby Sunblock Stick. The Aveeno one is recommended by the Environmental Working Group (EWG) as part of their safe sunscreens, and is a good value for a 100% natural sunscreen. 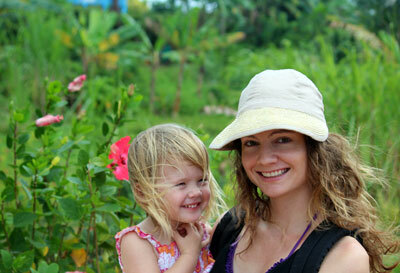 Stay with fragrance-free, tear-free sunscreen in lotion form to save money on protecting baby, older kids and yourself. Sprays are not recommended by the EWG, and studies say you don’t need anything over 50 SPF. 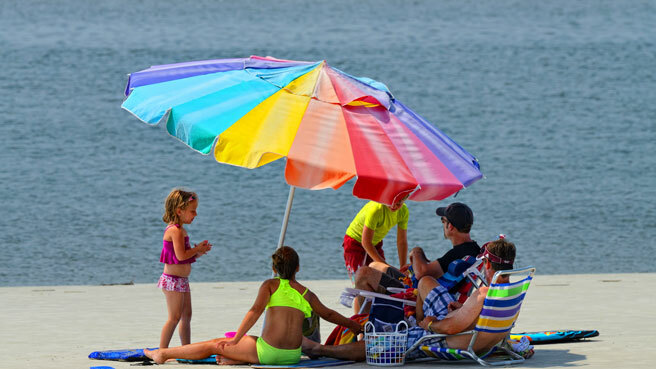 You can apply basic baby sunscreens like the Coppertone Water Babies Sunscreen often and you won’t break your budget on a family beach vacation. If you or your kids have dry skin, the Aveeno Baby Sunscreen offers continuous protection from the sun in a special oatmeal formula. Recent studies have questioned the toxicity of certain chemicals in sunscreen, namely oxybenzone as having a hormone-like effect on the body. The number one bestseller in baby sunscreens on Amazon is BurnOut SPF 30+ KIDS , which is free of all chemicals and great for a baby’s sensitive skin. Generally, the two ingredients to look for in a natural sunscreen would be zinc oxide and titanium dioxide. 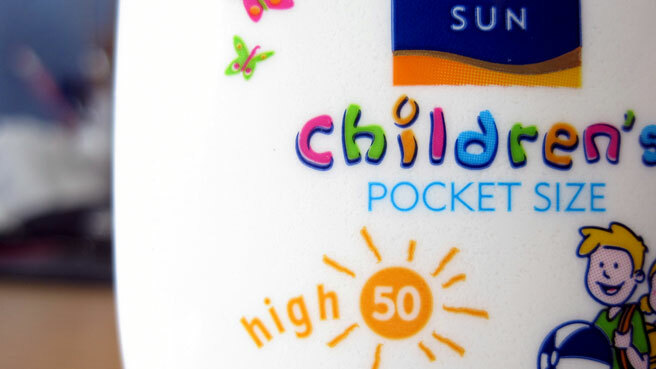 These type of sunscreens can sometimes look whiter on the skin or be stickier to apply, but claim to be safer for baby. Some moms I know swear by California Baby products, like their chemical-free California Baby Sunblock Stick , as their special formula sits on top of the skin and is not as “white” as other brands. When you shop at a drug store for baby sunscreen, it can be hard to read all the ingredients and fully understand what you are buying. Research which brands to look for in advance and consider buying online in larger quantities to save money. When you’re deciding what to bring for a baby beach day, always bring some sort of sun protection.